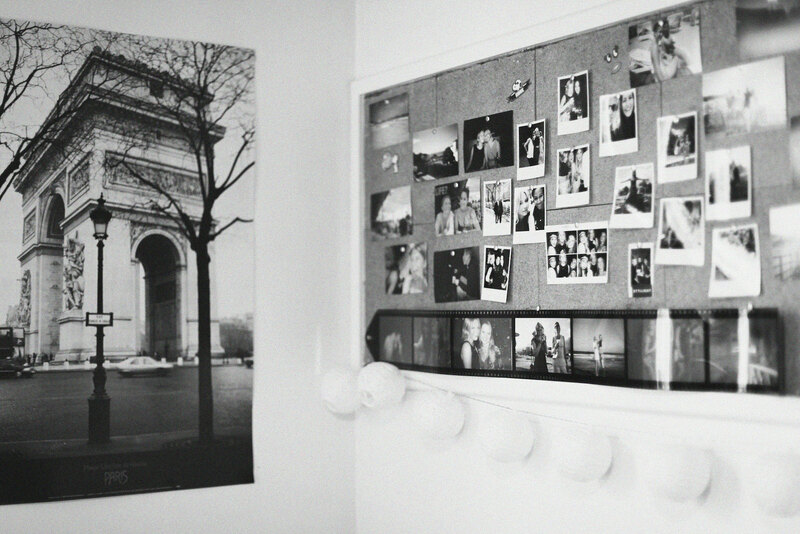 Nothing is more eery than walking into someone’s room and they have no pictures of anything on their walls. Nothing but bare creamy yellow paint and a cactus. We appreciate the succulent, we really do, but putting up personal momentos is not only a great way to show the people who come to your room a bit about yourself without actually waxing lyrical about your trampolining side career, but it’ll also make you feel comfortable and at home. Try printing off Instagram photos from a site like Printic, or developing those disposable pictures you took on your summer holiday to some ambiguous warm and drunk part of Europe the summer before. Bringing pillows and blankets from home is also a great way to cosy up your space with things that will make you feel comfortable. Your bed soon becomes sort of your centre piece for the room; you spend most of your time in it, your friends spent a large amount of their time on it, and this is all a lot more enjoyable if you have decent sheets. Invest in a set of good quality sheets, a comfortable pillow and duvet. Assuming your heating probably won’t be outstanding, we suggest bringing an extra duvet for when it gets really chilly, or an electric blanket if you’re feeling techno. You’re also probably going to need a mattress topper; as well as covering up the wonderful feeling of mattress springs in your side, these also magically turn your bed into a cloud. We don’t know how. Finally, have a spare set of bed linen for those days when you spill your cereal/ really can’t be effed to do your laundry. Every person is different; some people like to coat those bland walls in tapestries they picked up in Thailand on their Gap Year, some people like to use books and boxes as double purpose decor. We put together a little Pinterest board with some decor inspiration to spruce up your space, and below there are some products we love and think would work well in any university room. It’s always handy to know what vibe you’re intending on going for before you get there so you can be set up from the get go; if boho is your aesthetic, get a hold of some candles, cacti and wall hangings. Looking for something a little sleeker? Coordinate your colours, picking two main colours and integrating black and white pieces throughout i.e. a purple bed sheet, dark turquoise pillows and a black & white throw and some old b/w photography posters for the walls to tie the room together. We’d say regardless of the look you’re going for, fairy lights are a must as well as fun decorating trinkets like wooden letters, posters, and candles. It’s always handy to have somewhere to put your jewellery (or, make your own jewelery branch…), and you can pick up pretty boxes to use as storage from Paperchase fairly cheaply. These come in so many colours your bound to find ones that work with your colour scheme, or buy the plain ones and have a little craft session to really make them your own. They’re great to stack on your desk, or by your bed. We also think filling your bookshelf with some of your favourite books & books for your course is a great way to add a personal touch, and a great excuse to use a cute book-end. Old magazines work to create make-shift side tables, or just to layer on a pre-existing table as a decorative base for a pencil holder or collection of candles. Decorations can be pretty and functional *le gasp*. Chalkboards for ‘to-do’ lists, pinboards for essay deadlines and pretty pictures. Weekly planners make a pretty desk addition and also help you to stay on top of your assignments, gym schedule, lecture timetable and extra-curriculars. If you’ve run out of cupboard space, your less mud ridden shoes also function as decorations, as well as any jazzy vintage bits you’ve picked up. Stacking boxes creates more space, too- get layering! Old vodka bottles double up as flower vases, but we suggest fake flowers since real ones will just die and never get replaced. You can find a great check-list of what to bring that we’ve created right here! We think we’ve covered the basics, minus food & clothes which we sort of think is fairly obvious. Also, avoid bringing anything too precious as it might get vomited on. We’re not kidding. i couldn’t agree more, I started university last year and to be completely honest, my room was always quite bland but I never knew what I wanted and I don’t actually like things on the walls but this year my room is wooden floors and white paints so I’m so excited to decorate it! I want plants, lots of pillows, throws, fairy lights, little quote photos all sorts, i really want to go for a beachy/Scandinavian vibe! this post was SO helpful! I head into my first year of college later this month and was freaking out (okay not really), about what to bring for my dorm room. We start school in 2 weeks and the school still hasn’t contacted people who their roommates are and where we’re living hahaha. Such a great and helpful article! Making a dorm room look more personal definitely helps during this transition.